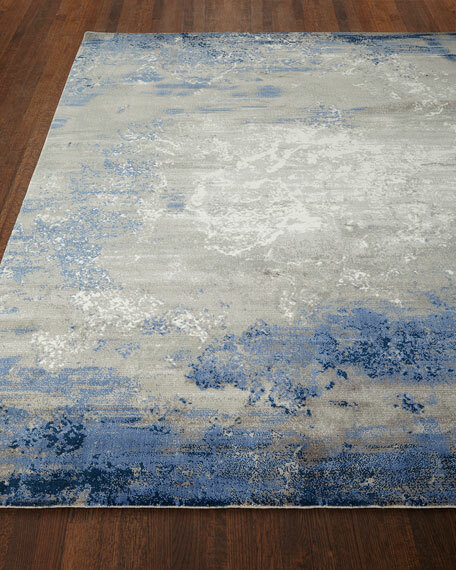 Like floating clouds in a windswept sky, the soft gray hues in this lovely area rug seem to swirl in changing formations, backlit by touches of luminous white on the field of rich blues. 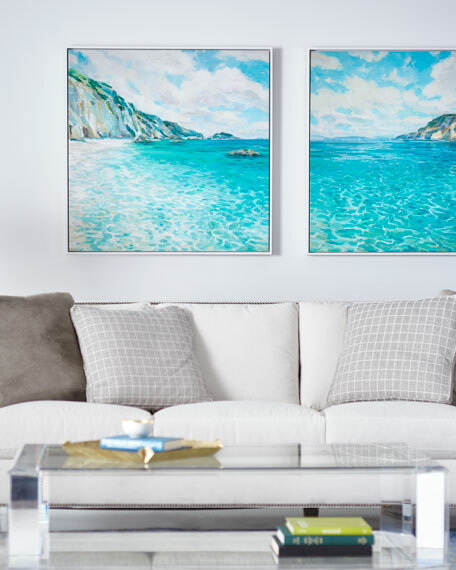 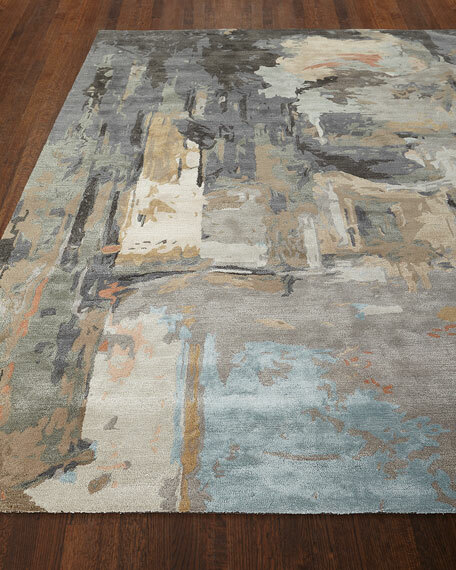 An evocative, chic, and contemporary look for sophistication in any setting. 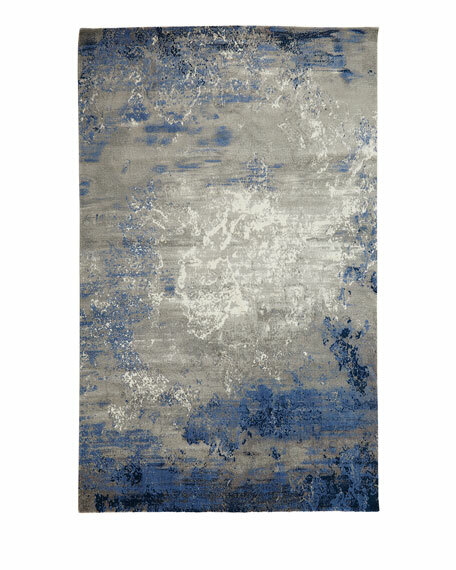 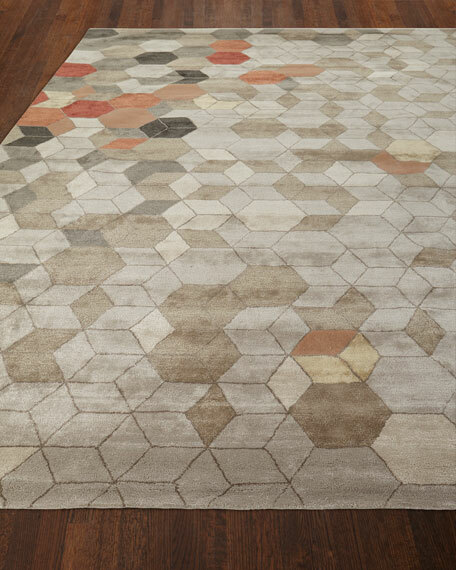 Foggy night indoor rug, featuring soft, abstract patterns and shapes. 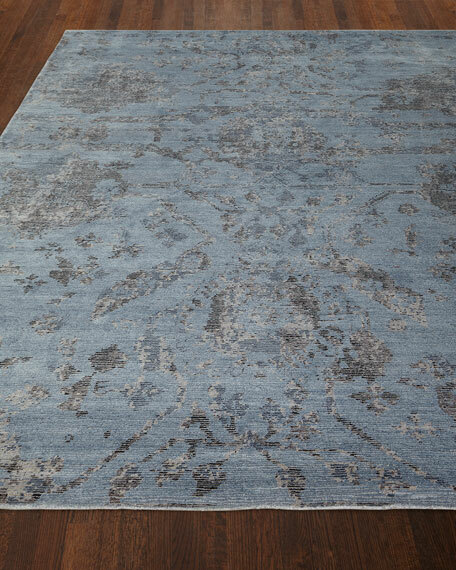 Hand-finished, loom-woven wool/rayon; cotton backing. 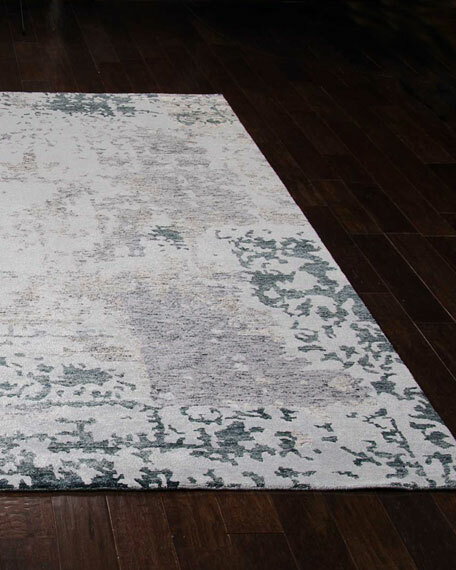 Foggy Night Rug, 7'9" x 9'9"